I’m not sure where I’m going with this trilogy of posts. It’s not a race report. There was no race except in name only which began as a sort of joke to amuse ourselves. There are no performances to dissect, no placements or lack thereof to take pride in or bemoan, and no imminent time cut-offs to fight. Just some running, exploring, and other things. These runs took place on three consecutive weekends in August. I wasn’t feeling it. I looked at my Mt. Tam map and thought maybe I could pull something together around the Watershed. Maybe fill in the spots I hadn’t marked as done yet. But those places were few and far between. I was itching to do some serious exploring. 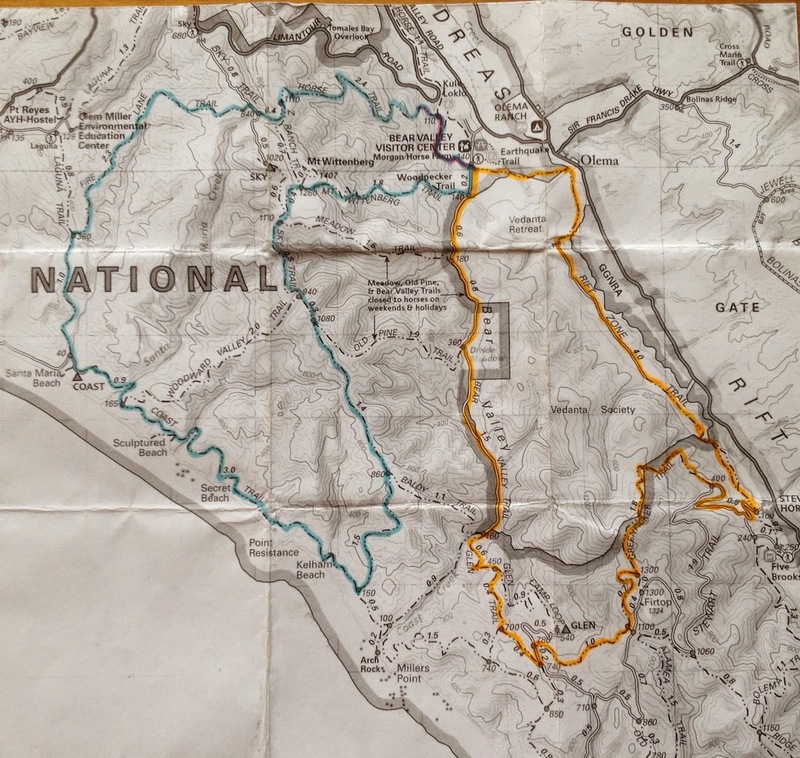 The Big Map, the Thomas Harrison Point Reyes map that had been lying on my desk for over a year, was calling out to me. It seemed like it was time. I’d certainly driven to the area over the years, primarily to the Point Reyes Lighthouse to catch a glimpse of the whales during their migration, but I hadn’t done any extensive exploration on foot. My abiding memory of Point Reyes was rolling pastures with dairy farms and the ocean speeding past the driver’s side window of a car. The first loop we did in blue, the second in orange. 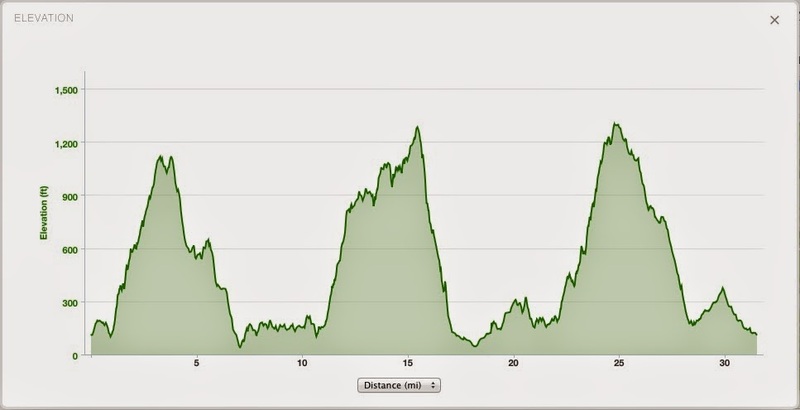 Course profile, ~5,500 feet of elevation gain. I don’t research much when I pull together a route. I guess I like it to all seem new as I go. I knew I wanted to create two distinct loops of around 15 miles each with the car as an aid station in the middle. That was about it. 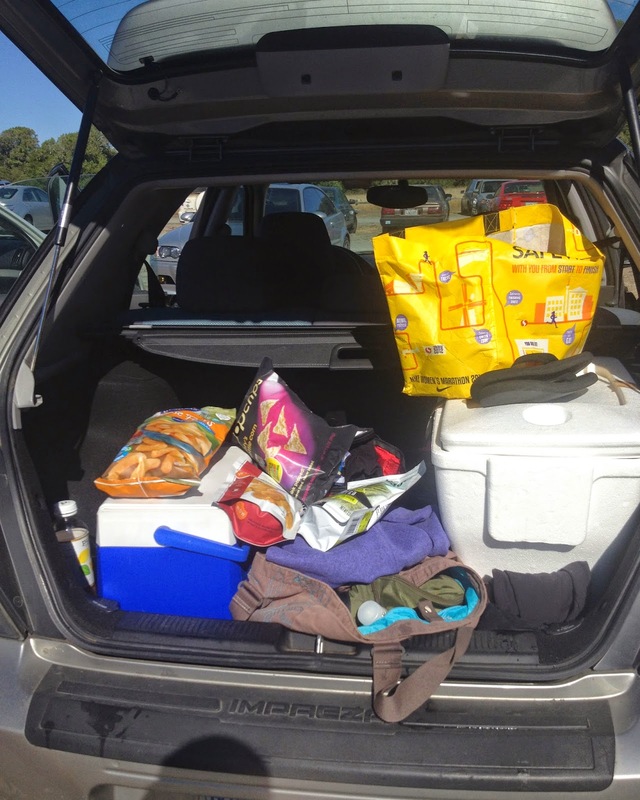 Since this was our first foray into Point Reyes the centrally located Bear Valley trailhead seemed like a good starting point. After much trial and error to work out the mileage I had a course that traversed the Inverness Ridge at three different points, travelled along Drakes Bay to the west, and the San Andreas Rift Zone to the east. We started the first climb of the day almost immediately, on Horse Trail. What struck me was how different the area was compared to how I remembered. No rolling pastures here. We went through forests that looked different from one to the next. 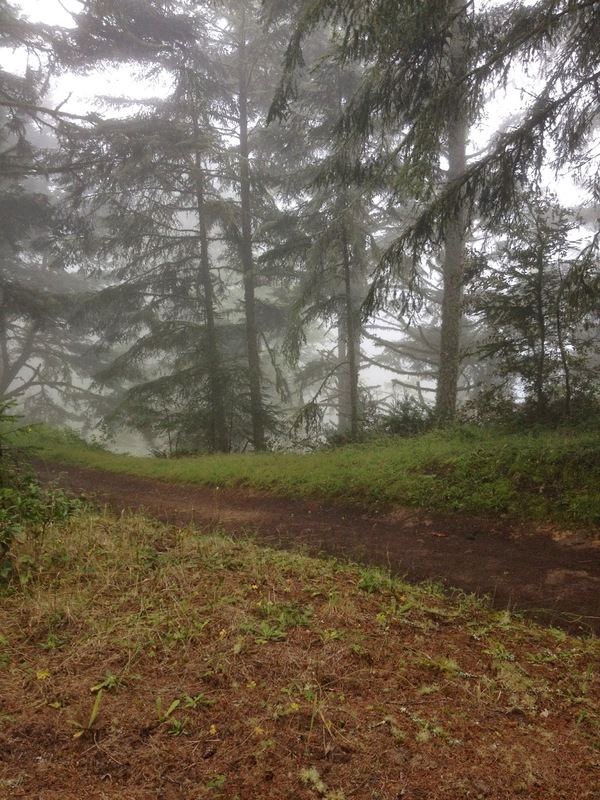 The coastal fog was sitting on top of the ridge and as we climbed it felt like we were heading into the clouds. In some areas water dripped from the overhead canopy. It was cool, misty, and magical. Memory is a strange thing. When we crossed Sky Trail memories of a long forgotten camping trip I had done with a friend many, many years ago returned. I looked at the map with new eyes, trying to validate what I was feeling against any landmarks that might seem familiar. Then I saw it, we’d parked at Sky trailhead and hiked in the 1.3 miles to Sky Camp. It had seemed like such a long hike back then. I remembered sitting at the entrance of a tent looking out over the coastline, the sound of a camp stove firing nearby, and Sadhu tending to it. I remembered stumbling around in the dark holding his hand because we thought a night hike by moonlight would be cool but instead it terrified me. Seeing the words “Sky” on a piece of paper while planning the route didn’t trigger anything for me but standing there in the mist looking up and down the trail brought it back like a wave washing over me. I could almost feel the faded presence of the me-that-was walk by, of the friend I haven’t talked to in years and no longer lives in this country. I hadn’t been blindsided by memories like that in a long time and I found it a little unsettling. We continued on and I tucked the experience away. 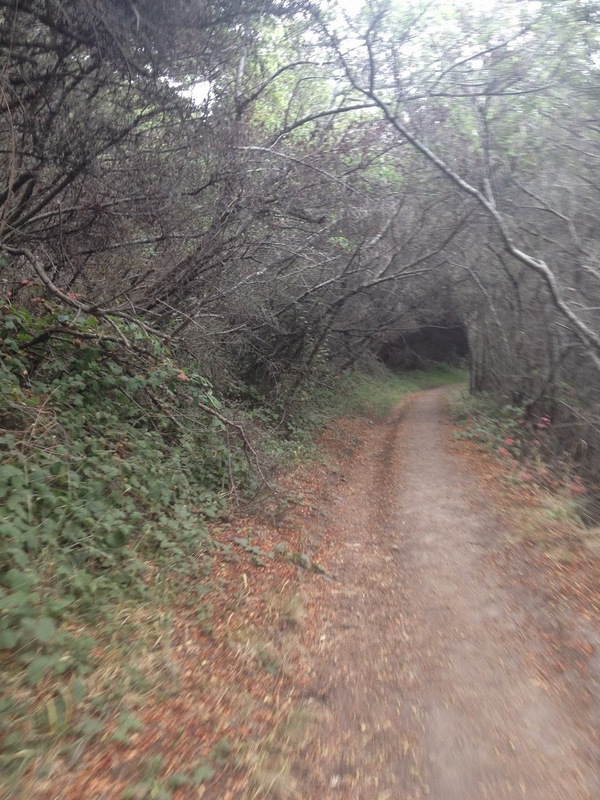 The course had a lot of variety in climate, terrain, and vegetation–closed in overgrown single track to wide open coastal rollers to densely forested corridors that formed the prettiest natural sidewalks imaginable. As we made our way up our second climb on Sky Trail toward Mt. Wittenberg we noticed pink surveyor flagging along the trail. I wonder what that meant. A quick look at the ribbon and I could see the word “wasp” written on it. Uh oh, must be bad if it’s being called out. Although the marked section was relatively short, we didn’t escape unscathed. A yelped “ouch” from Alina meant she took one for the team. Probably my least favorite part was the section on the Earthquake and Rift Zone trails that connected Bear Valley and Stewart Horse Camp. It began our second loop, it was hot and I was tired. The terrain for the most part was exposed, flat, and uninspired which was also a pretty accurate description of my mood. Once we turned west to go over the ridge on Greenpicker Trail things started looking up, literally, when a passing horseman pointed up to the trees and showed us where to find a barred owl perched directly overhead, its enormous eyes doing that slow blink as it looked down at us. I’d never seen one this close in the wild and it seemed like a good omen. When it seemed we had lost our novelty to the owl its eyes took on a half-lidded look like it would fall asleep at any moment. And I started to feel the same. Time to move on. We were on our final climb of the day. It was tiring but we were back on single track with tree cover to give us some blessed shade and the scenery had improved dramatically. 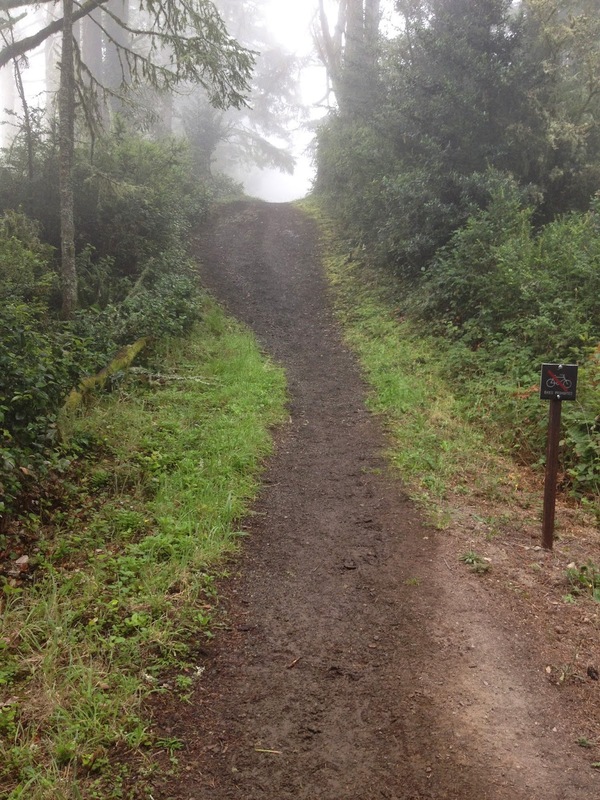 We enjoyed a really fun descent and finished on a easy fire road back to the trailhead. We’d done it. 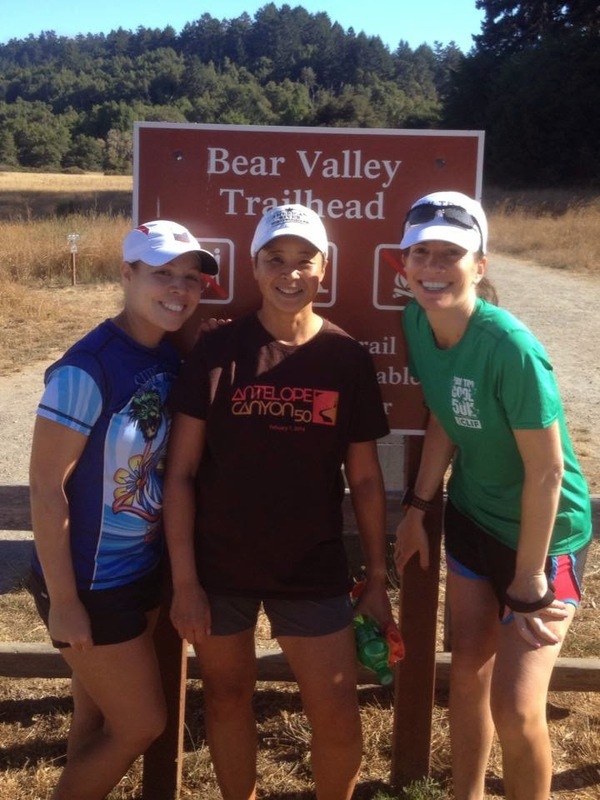 Our first self-supported 50k was in the books and we’d had a blast. We’d been jokingly calling this the Bello 50k all day and the name stuck. This is how dubious traditions get started.